Dorothy Bunny Bowen grew up in Virginia’s Shenandoah Valley, surrounded by the Blue Ridge Mountains. 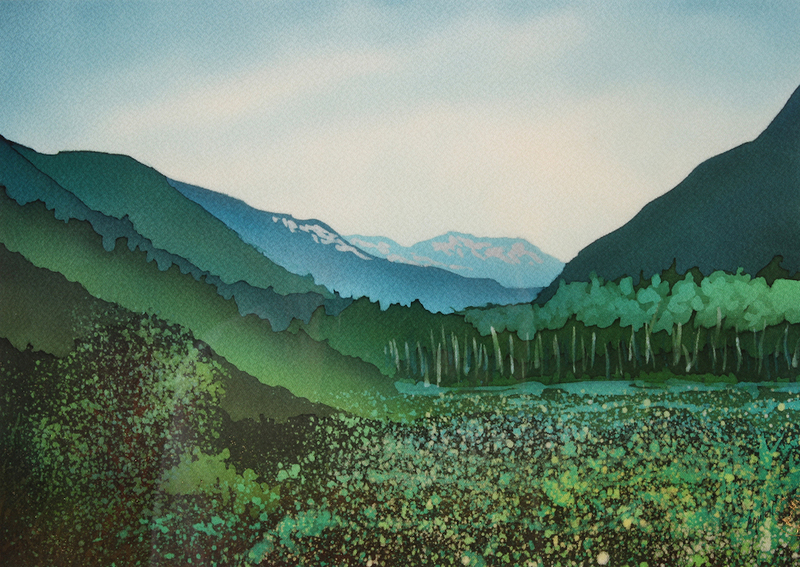 Originally an oil painter, she earned a bachelor’s degree in art from Randolph-Macon Woman’s College and studied printmaking at Virginia Commonwealth University. She holds a master’s degree in art history from the University of New Mexico, writing her thesis on Navajo Pictorial Weaving. She was a research associate in Spanish Colonial Textiles at the Museum of International Folk Art in Santa Fe. After ten years with the museum, a major exhibition was mounted and several articles by the artist were published in the catalogue, THE SPANISH TEXTILE TRADITION OF NEW MEXICO AND COLORADO. In 1974 she and husband Leland bought land in Placitas and moved there with two young children in 1975. She continued to work as a painter but concentrated more on wood carving, producing bas relief sculpture. In 1980 Bowen was introduced to batik by Australian Jeffery Service at Placitas Elementary School. 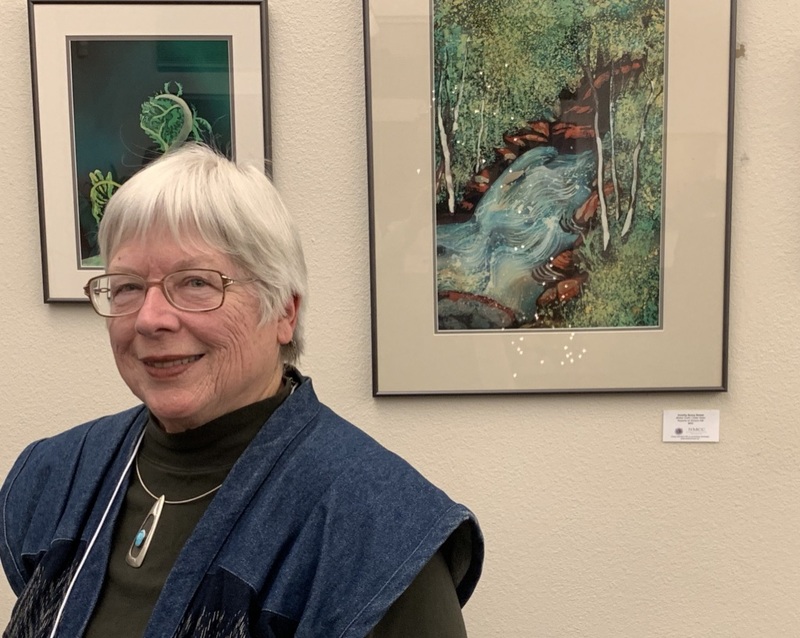 She has been working professionally in batik ever since and has exhibited her work around the US in numerous juried shows with awards. Batik presented opportunities for world travel, with studies in Japan, Bali and Malaysia, where she was twice invited to speak at the Kuala Lumpur International Batik Convention. Bowen continues to be involved with the art of Placitas, serving on the board of the Placitas Studio Tour and the Placitas Holiday Sale. She is also a graphic designer who specializes in websites and a founding member of Wild Hearts Gallery in Placitas. I started as a painter and art historian. In 1980 I discovered batik, after working as a textile research associate at the Museum of International Folk Art for 10 years. Batik combined my love for textiles with my training as a painter. Since 1999 my primary medium has been wax resist and dye on silk, the Japanese form of which is Rozome. For well over forty years I've enjoyed watching the wildlife and wildflowers in the high desert by my studio. A severe drought is driving our ecosystem here now, yet it is interesting to see the balance that develops even in dry times when humans make wise choices. Finally, I believe we should live lightly on this earth in absolute awe of its magnificence. I hope this comes through in my work.